But the study also warns that a growing disparity between megawatt (MW) growth and units deployed will impact component suppliers as price pressure trickles down the supply chain. The new Global wind turbine supply chain trends research report, published by Woodmac’s power and renewables arm, claims the supply chain potential could tip the scale at £416bn. 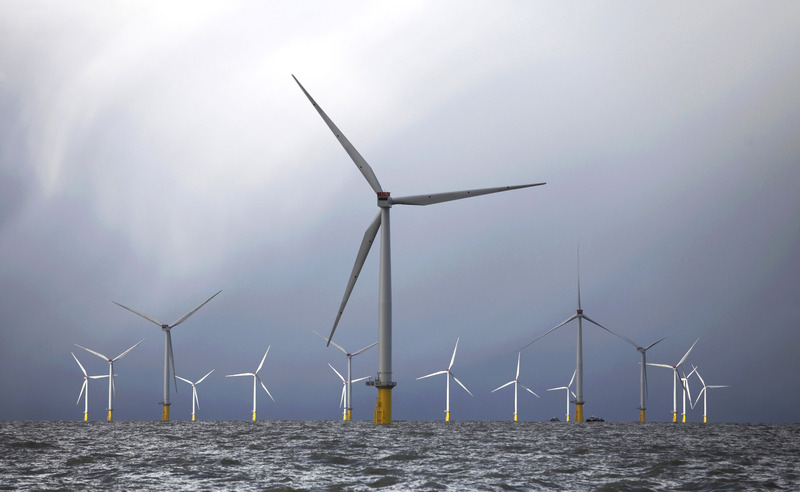 It also believes that the top five turbine firms will win market share over a ten year period. Woodmac power and renewables senior analyst, Shashi Barla, said: “We expect the global market share among the top five-turbine OEMs to rise to more than 73% by 2027, compared to just 54% in 2016. “It is therefore imperative that component suppliers secure strategic relationships with these winning OEM to solidify their own future success. “Global wind annual installations are expected to grow 40% in the next decade – from 53 gigawatts (GW) in 2018 to over 75GW by 2027. “Pressure to lower the levelized cost of electricity (LCOE) is accelerating technology developments, which is causing a wider proliferation of next-generation 4.X/5.X/6.XMW turbines. Firms such as MHI Vestas, Siemens Gamesa and Senvion currently lead the pack in the UK and Europe with a number of big projects in operation and coming online soon. Wind farm developer EDP Renewables confirmed in August that it signed a conditional contract with MHI Vestas Offshore Wind for the supply and installation of 100 turbines at it Moray East Offshore Windfarm. MHI Vestas Offshore Wind revealed it had secured final certification for the “world’s most powerful available turbine” for use on the Moray Firth development, due to begin construction in 2022. The project will include the supply and installation of 100 MHI Vestas V164-9.5 megawatt (MW) offshore wind turbine generators. The research also highlights the logistics challenges on the horizon for blades and towers as component sizes become longer and taller. Woodmac said it believes the industry will “circumvent these obstacles with new transportation methods and on-site/closer-to-site manufacturing”, added Mr Barla.